Disney’s Night of Joy event at Walt Disney World has ended. Walt Disney World will no longer be hosting the event. The event which began in 1983 was held at the Magic Kingdom for most of its 35-year run. For two-years it was held at at Disney’s Hollywood Studios and for the past two years it had been held at the ESPN Wide World of Sports complex. The second night of the 2017 event was called of because of the threat of Hurricane Irma. According to sources, Disney has not given a reason for ending the Night of Joy event, although there were rumors that there were a lot of operational difficulties in hosting the event. A possible foreshadowing that this might be happening was when Disney included Night of Joy regulars MercyMe in the upcoming Eat to the Beat concert series at Epcot. If you’re a college hoops fan and are planning a trip to Walt Disney World in November you’re in luck! This fall, you can add a basketball game or two to your vacation, because the Tire Pros Invitational and AdvoCare Invitational will be underway at ESPN Wide World of Sports Complex. New to Disney, the Tire Pros Invitational will tip off November 17-20 and features Arizona State, Clemson, Davidson, Missouri, Northern Iowa, Tulane, Xavier and Oklahoma, which made it to the Final Four of the 2016 NCAA men’s basketball championship. Past winners include Miami (2015 & 2007), West Virginia (2014), Charlotte (2013), Oklahoma State (2012), Alabama (2011), Minnesota (2010), Villanova (2009) and Xavier (2007). And just a few days later, the AdvoCare Invitational returns, November 24-27. This tournament features three Sweet 16 teams – Gonzaga, Iowa State and Miami, as well as Big East Conference Champion Seton Hall. Other participants include Florida, Indiana State, Quinnipiac and Stanford. For each tournament, the bracket consists of 12 games over three days with each team competing in one game per day, advancing through the bracket. The two teams that remain undefeated throughout will face off in a championship game on the final day of competition. In between exploring the fall festivities across the Disney Parks, why not visit the ESPN Wide World of Sports Complex to catch some of the top college basketball teams face off? If you love sports or even if you’re a casual fan, you won’t want to miss these tournaments! Visit ticketmaster.com to purchase tickets for the AdvoCare Invitational and to get more information about ticket sales for the Tire Pros Invitational. Night of Joy, Walt Disney World’s annual Christian-music festival, will be held at the ESPN Wide World of Sports complex again in 2017, the company has announced. The event was held at the complex for the first time earlier this month. For most of its 33-year history, it was produced at Magic Kingdom, which required the theme park to close early for Night of Joy guests. The event also was held at Disney’s Hollywood Studios for two years. The dates for the 2017 edition of Night of Joy will be Sept. 8 and 9. 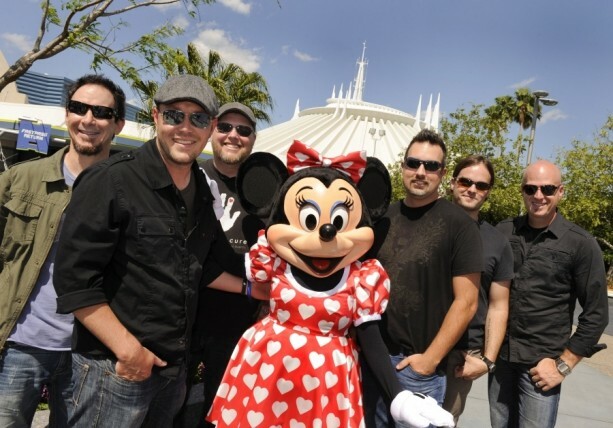 Disney also announced that MercyMe, a multiplatinum-selling group, will be among the artists next year. The group performed at the event this year. It was its 11th appearance at Night of Joy. Additional performers will be announced in the coming months. Disney used three venues — Champions Stadium, the Jostens Center and the HP Fieldhouse — at the complex for concerts and transformed two of its athletic fields for additional activities such as a Wiffle ball home Run derby. A talent showcase featuring local Christian music talent was held in the ESPN Grill. Disney is giving us a look at the design of the new state-of-the-art venue that was announced back in February that they will be building at the ESPN World of Sports Complex. The new indoor sports venue, which will be adjacent to the Jostens Center, will feature a flexible design that can morph from one large competition space capable of seating more than 8,000 fans to as many as four separate competition areas. It will be so flexible that it can be configured to host a variety of other sports, such as basketball and volleyball, as well as concerts. It will be the only venue of its size in America that is specifically designed with cheerleading and dance competitions in mind, offering special warm up and practice areas as well as spaces for judges and officials. The facility, expected to be complete within the next 18 months, will perfectly complement the growing number of prestigious cheerleading and dance events at Disney. Currently, the sports complex plays host to nine cheerleading and dance competitions, including six elite Varsity-produced events such as the USASF Cheerleading and Dance Worlds held each spring. ESPN Wide World of Sports Complex was already a major player in the cheerleading and dance world, but the construction of this massive new indoor venue means that the sports complex is poised to become the epicenter of cheerleading and dance events in this nation. And that’s enough to make any cheerleader do a round off Arabian into a round off double back tuck. After several weeks of anticipation, the NFL officially announced at a press conference held at ESPN Wide World of Sports Complex at Walt Disney World Resort that the 2017 Pro Bowl is coming to Orlando and will be played at Camping World Stadium near downtown. But here’s the best part: Several of the official Pro Bowl activities will be staged at Walt Disney World Resort as part of the league’s new approach of making Pro Bowl Week a celebration of all levels of football – from youth to high school to the NFL’s best. The Pro Bowl teams’ practices, an NFL Flag football event and other youth football events will take place at our sports complex. It’s the perfect fit when you consider the sports complex annually hosts more than 100 youth sports events, such as the Pop Warner Super Bowl, and regularly attracts NFL players for the Tom Shaw Performance Camp and the Gruden QB Camp. Officials from the NFL, Disney Sports, ESPN and Florida Citrus Sports, plus Orlando Mayor Buddy Dyer and Orange County Mayor Teresa Jacobs, were part of the announcement Wednesday along with former NFL star Charles Woodson. The press conference followed an informal youth football clinic involving kids from Orlando’s Edgewater High School. The announcement is quite a triumph for Central Florida because of the significant economic impact that comes with it as well as the national exposure from the ESPN telecast of the game. If you want to get in on the Pro Bowl action, fans can sign up for exclusive presale ticket opportunities at www.ProBowl.com. Tickets go on sale to the general public in November. Tickets are now on sale for the 2016 Night of Joy Christian concert series. This year’s Night of Joy will be the first to be held at the ESPN Wide World of Sports complex instead of the Magic Kingdom. You can purchase tickets from the official website. Night of Joy 2016 will take place on September 9th and 10th. This year’s event will be headlined by 2015 Grammy Award Winner Francesca Battistelli. The new venue will bring new ticketing options, giving attendees the option to combine the concerts with theme park admission. A single-night ticket for Friday’s concerts – $39 plus tax (in advance); $45 the day of the show (if available). A ticket which would include a day at one of the four Walt Disney World Resort theme parks and the concerts for Saturday night – $99 plus tax (in advance); $114 plus tax the day of the show (if available). A 2-Day ticket which includes both nights’ concerts, a day at one of the four Walt Disney World Resort theme parks – $119 plus tax (in advance). Guests who purchase the 2-Day ticket before August 9, 2016 will also receive one (1) admission to their choice of Disney’s Blizzard Beach or Disney’s Typhoon Lagoon from September 6 – September 12, 2016. Group discounts also are available. Nothing says “fall” like tailgate parties, chili cook-offs and, of course, football season. 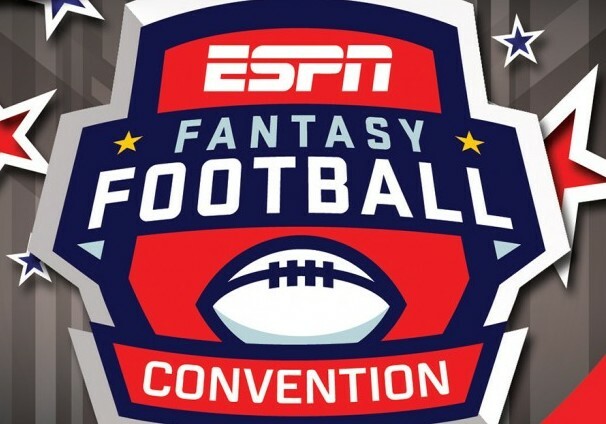 On August 22-23, you can officially kick-off sport’s greatest season of the year with ESPN‘s inaugural Fantasy Football Convention, taking place at ESPN Wide World of Sports Complex. The first-of-its-kind event features unprecedented access to ESPN talent including Matthew Berry, Adam Schefter, Chris Mortensen, Sara Walsh, Mark Schlereth, Stephania Bell, Tim Hasselbeck and more! Start things off with an epic Tailgate Party, where you can mix and mingle with ESPN talent and be a judge in the first-ever ESPN Chili Bowl. Decorated Disney Chefs from around the world will serve up their best creations for a chance at this prestigious award. The next morning, you’ll have breakfast with some of your favorite characters decked out for the gridiron. Experts roaming the floor. And best yet, season winners of leagues created during the Convention will receive a customized trophy. Talk about bragging rights! For more information on the inaugural Fantasy Football Convention at Walt Disney World Resort and to register, click here.